Courageous Companions and Learn Photography Ottawa are partnering up to bring you some very special offers! 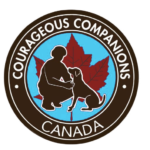 Courageous Companions is pleased to partner with Learn Photography Ottawa for some very special offers designed for dog enthusiasts! A portion of each sale will be donated to Courageous Companions to help us support our mission to assist military veterans and first responders who have been affected by physical and/or psychological operational injuries. Learn Photography Canada is the premier provider of Beginner and Intermediate Photography courses in the country. Digital I: The place to start. Digital II: Take it to the Next Level with light and motion. People Photography: Take Portraits that make people look good. Night Photography: Dark, but not scary. Lightroom Digital Editing: Computer magic for anyone. Each of their courses are One-day in duration, include lunch and snacks, are completely hands-on with students taking hundreds of pictures during the day. Take a Great course and Support Courageous Companions at the same time! Go to cameracourses.ca/ottawa and register for any single course or package and Learn Photography Ottawa will donate a portion of the proceeds to Courageous Companions. All monies raised by CC are used to directly support our Service Dog programs. Special CC programs: Register for one of the special Courageous Companions products and receive a charitable tax receipt for the donation portion of your tuition! 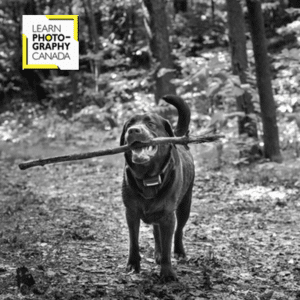 Make your pet a star with a professional 3-hour private photo-shoot with a Learn Photography Canada instructor. 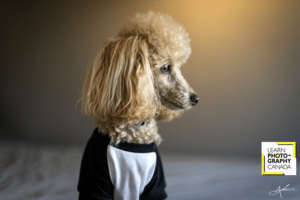 Get digital copies of professional quality photographs of your most-beloved and furry friend for you to print, share, and love forever. An especially thoughtful gift for any dog mom. The Pet Photographer Package is a special version of Learn Photography Canada’s Three’s a Crowd package modified for Courageous Companions. The Package is designed for the beginner photographer and is completed in 3 parts. Part 1: It starts with the Digital I course where you will learn how to use your DSLR in manual mode, unlocking the full potential of your camera. Part 2: Is the Digital II course, where you will build on the knowledge and control of your camera that you learned on Digital I. Here you will learn how to use light to frame beautiful photographs, as well as how to shoot movement successfully. Finally, part 3. The most exciting of all! This is the special change that Learn Photography Canada made for Courageous Companions, and we are so excited by it! 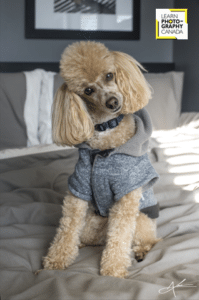 Part 3: Is a photo-shoot for your dog where you’re the photographer! 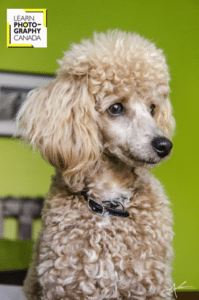 In this private photo session, spend 3-hours with a Learn Photography Canada instructor just taking gorgeous photos of your dog. 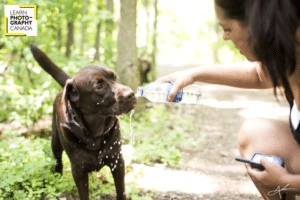 Your instructor will show you how to setup fantastic photos, and will coach you on using your camera to capture the best moments for your furry best friend. photos to share with all your family and friends! 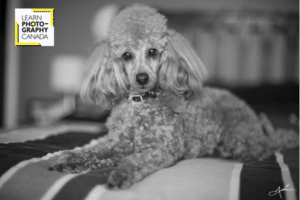 This is the Ultimate gift for any dog lover with an interest in photography! Head on over to cameracourses.ca/ottawa now and sign up for a course, you’ll be glad you did, and we will be grateful for your support! 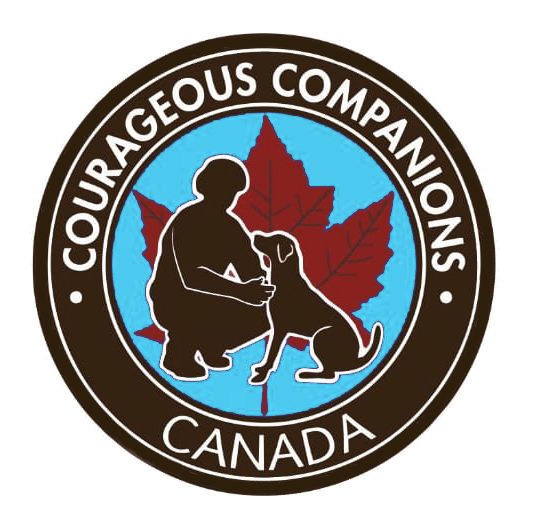 This partnership between Courageous Companions and Learn Photography Canada is currently only available with the Ottawa location. 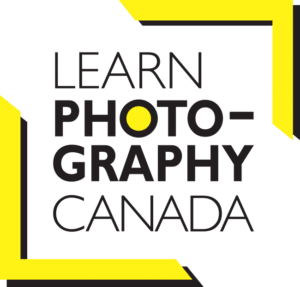 If you’re interested in the programs in another Learn Photography Canada location please Click Here and fill out the contact form. You’re interest and engagement can help us expand the partnership.